Deb at Paradise Blog Design offers two options for the Blogger user looking for a new design: Pre-Made Designs and Custom Designs. 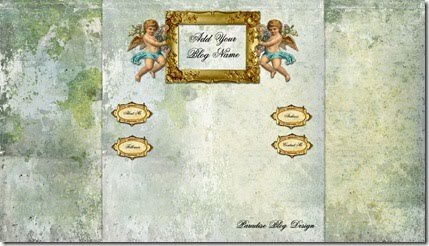 Blog in a Bottle: Deb has posted several design templates that you can purchase pre-made “as-is”. They are only sold to one buyer, so the one you choose will be yours alone. Custom Designs: Click on “Custom Pricing” and you can see the available choices of packages and individual elements. Paradise Blog Design is hosting a graphics giveaway to celebrate Build A Beautiful Blog Week.